As much as there is new stuff to review there is rarely an opportunity to cover a live album. Yet for some of my favorite bands I prefer doing live albums, compilations, etc. because with the new material I need a lot more time for it to sink in, and often I am afraid I will appear as a non-critical fanboy if I just begin to gush. With live albums and compilations, it is just going with the flow, picking out one much-loved song after another. Thus, you will see a Live Damage DVD review for Dark Tranquillity out of me, but only a quick paragraph in the forums for Construct. 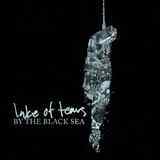 Swedish Lake of Tears is another one of those bands that occupies a special status in my musical pantheon. So with the By the Black Sea, their first and only live album in more than twenty years of existence, I anticipated a dual opportunity for that release: to hear what some of my favorite tunes sound like outside of the studio, plus a chance to see if my deep dislike for the latest album Illwill has been an aberration. For the latter, unfortunately, I remain unmoved. I understand how you have to lead the way in the live performance with the cuts from your most recent album, but after out-of-nowhere psychedelic instrumental To Die is to Wake, modern semi-brutal beatdown of Taste of Hell just does not announce Lake of Tears in any way and does not distinguish this fantastic band from the myriad of modern groovers. Illwill does bring more gothic rock into the picture, but to me the real tasty treats do not start until The Greymen rolls in with its sweet psychedelic touch, the bass presence starts to be felt ever more subtly and Daniel Brennare's weepy voice with its unique gruffness envelopes you. If there were two things that surprised me in Lake of Tears live performance it is actually how clean the band sounds, not sterile, but almost studio-like, and how edgier and rougher Brennare's voice is live. The cleanliness and melodies are achieved by guitars being so much front and center, occupying the center stage in the sound to the point that they diminish the drums, probably because of the rhythms and beats simplicity. Guitar leads appear somewhat enhanced from the studio versions of the songs, so the rocking aspect of the band is on full display. My favorite moments on By the Black Sea come in spurts. Lake of Tears know what their best songs are and seeing Boogie Bubble and Cosmis Weed from Crimson Cosmos back-to-back and then Raven Land and Sweet Water off Headstones provides proof that psychedelic doom rock at the hands of the band is absolutely unmatched. The muddier Boogie Bubble, the pained anguished gruff speak substituting for singing on Raven Land and Sweetwater, stoned out if its mind Cosmic Weed - these are absolute gems. Once you give me a pair from Crimson Cosmos, even the rough slam of As Daylight Yields to showcase the band’s doomy roots goes in smoothly. I am also glad to see The Shadowshires off The Neonai, the album composed by Brennare alone effectively, to be well embraced by the full band. The inclusion of House of the Setting Sun, with its acoustic brooding and lively bass, also probably provides the hint what Lake of Tears themselves consider to be the best moment from Illwill. From that perspective, the absence of anything from excellent Moons and Mushrooms totally surprises. By the Black Sea closes with a pair of tracks from Forever Autumn. The opinions on that album are radically split between the long-time fans of the band. Some consider it a total navel-gazing nadir which ultimately has undone Lake of Tears for a while. Yet, others provide Forever Autumn as an example of the exquisite artistry by the band. So Fell Autumn Rain receives a much heavier makeover, and is not an acoustic unplugged version, although the magic melody and keyboards are felt, and I want to believe that there is a live violinist used here. Forever Autumn, the song, is a little closer to how it sounded on the album allowing the bass to roam freely. In the end, I tended to gravitate to the tracks I consider my favorites, and after I figured out the running order on the album I cheated and skipped right to them. I would expect the older fans to do the same, the band probably satisfying their dedicated followers, but gaining no new fans with this live release. Judging by how sparse Brennare’s interactions are with the audience, those present know what they are in for, and when to expect the best from the performers. The crowd sounds excited in all of the right places.